With an aim to help farmers create more value for their crops and foster their socio-economic development, a project has been initiated by the Department of Agriculture, Government of Karnataka, in partnership with Bengaluru based Agtech start up, CropIn Technology Solutions. The project will directly benefit 20 districts of Karnataka. It will facilitate FPOs and farm managers to advise farmers in following the right package of practices across crops such as paddy, millets, gram and groundnut. This joint initiative will soon be scaled up to assist 4.15 lakh farmers and cover over 3.4 lakh acres of land. 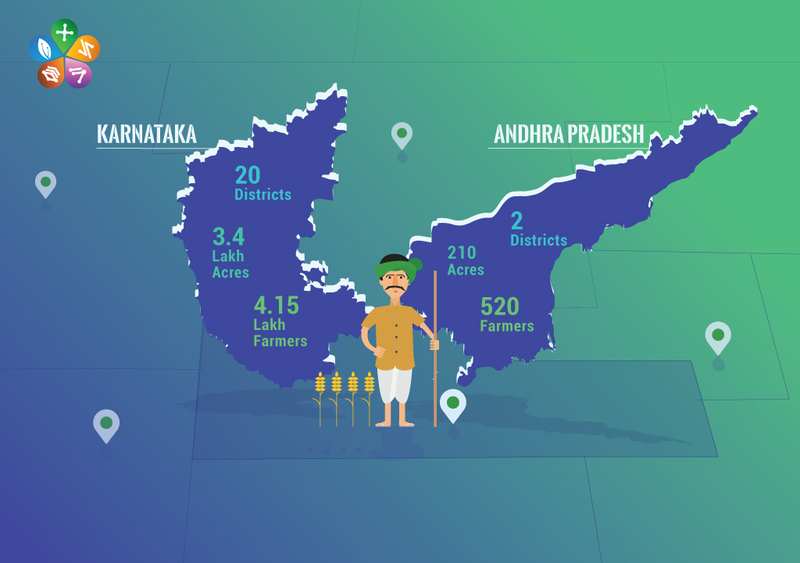 Even though Karnataka is home to the highest number of Agtechstart ups in India, the agriculture sector’s contribution to the state’s GDP has been declining with each passing year. This can be attributed to harsh weather conditions and seasons of drought witnessed in parts of Karnataka over the past five years. As part of the mutual initiative, government will leverage CropIn’s farm management technology solutions to help farmers grow the right crops and adopt smart-farming techniques and practices, during the crop cycle. Instead of just focusing on increasing per acre yield quantity, the government hopes to help farmers get optimal value for their yield – a measure to ensure the economic wellbeing of farmers. “As an Indian Agtech startup, we feel a deep responsibility towards the wellbeing of the farmer community. This collaboration with Karnataka government gives us an opportunity to educate, enable and empower farmers. They are often at the losing end due to lack of transparency and information in the agricultural market. We hope to change this and bring about change at the grassroots level by working with the Department of Agriculture,” said, Krishna Kumar, CEO, CropIn. 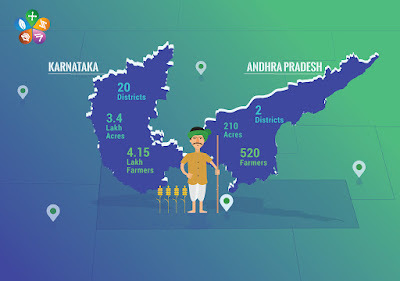 In a similar outreach, CropIn had previously collaborated with the Department of Horticulture (DOH), Andhra Pradesh, in 2017 to digitise farms under two Farmer Producer Organizations (FPO) in the districts of Chittoor and Krishna. Through this partnership, the DOH set out to build a platform for collaboration, increase the productivity of farmers and facilitate right market access for the farm produce. The underlying mission is to work towards doubling farming income by 2022, in line with the Government of India’s vision for the agri-sector. In its first stage, the project covers over 210 acres of land, assisting 520+ farmers. After a successful run with two FPOs during the first year, the collaboration is now being scaled up to cover 50 FPOs.